King of Towers is set in a fantasy realm of humans versus orcs, goblins, Dragons and Demons, united in their attempt to try and destroy the human lands, and follows a traditional Tower Defence style game with a wide selection of added features and mechanics to create a unique MMO. 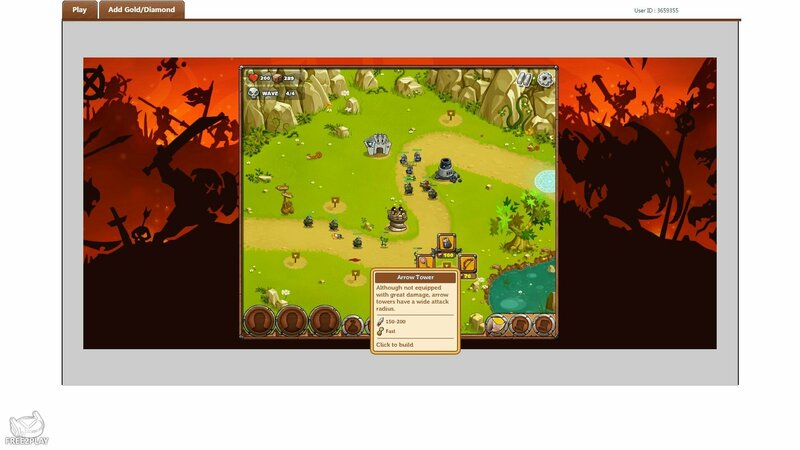 Completely free to play the game can be accessed through your preferred web browser without any need to download a game client. After years of peace rumours have arisen that the orcs have once more begun to assemble their armies in preparation for war, the new King Jain Lantafik has just been sworn in as the ruler of Azylon and it is his job to protect the realm. The assembled army of greenskins now stands on your doorstep, made up of goblins, orcs, wolves and even Wyverns and worse and it is your duty to create impenetrable defences and ensure the safety of the realm and its people. 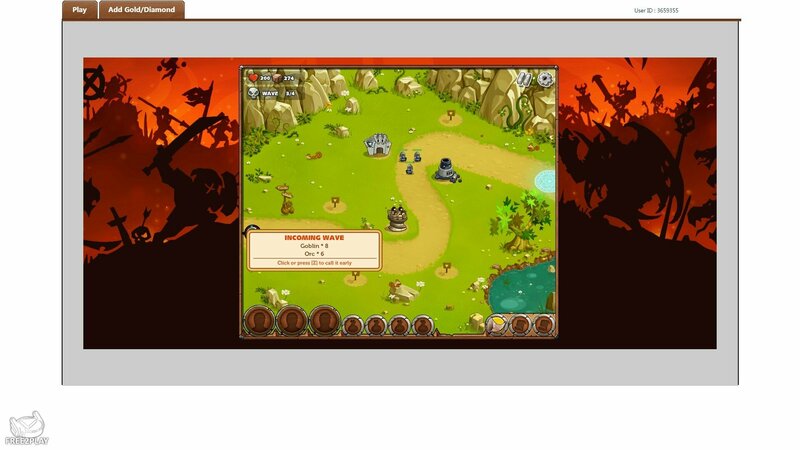 Using traditional Tower Defence mechanics players will progress through different stages on a level, each of which will have its own map that consists of a road and specific points by the roadside that players can construct towers. Once the game has begun enemies will appear in waves at one end of the road and travel down it, automatically attacked by towers as they pass them, the aim of the game is to ensure that they do not reach your territory at the other end of the road. Players spend in game gold to place towers during a game, but they can also choose to upgrade them into more powerful versions of themselves. The types of enemy and their abilities that players will go up against will depend on the level that they are playing, with each level broken up into various stages. Players have access to the Kingdom screen which enables them to try out a number of features through the various Kingdom buildings, these features range from allowing players to recruit Heroes, try out special challenges, construct items and gear to help them in battle and upgrade their towers and spells to make them stronger and add extra effects to them.